This photos are taken recent days, when we went to visit Ven. LPu Sukh. If there are major events like papha or Kathina, then Sala will be used because it can accommodate more monks and laities. As you can see, it is almost daily there will be usage. 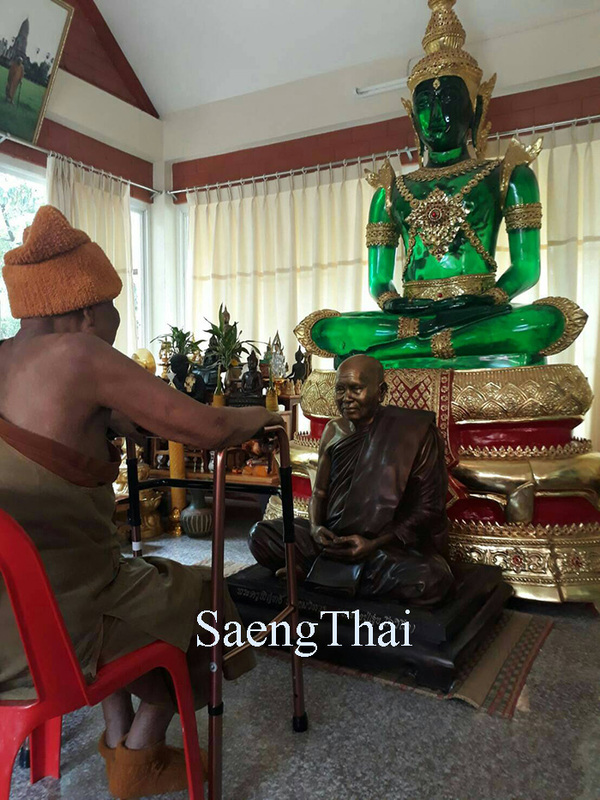 In SaengThai, my teacher taught me, in order to maximize our dollar of merits, please donate something which temple need to use everyday eg, brooms both indoor and outdoors (rakes), mops, fluorescent lamps …etc . Those these items are cheap but very necessary and important. The bigger items are like toilets, kuti, viharn, kitchen…etc . That way the more temple uses the items you sponsor, the more wholesome karmas gets accumulated and the less unwholesome karmas will be left..REMEMBER! YOU CANNOT ERASE THEM BUT CAN DILUTE THEM. Actually Ven. LPu has been telling us for at least 5 years now, but year after year luksits retained Tahn. However for the pass 2 years Ven. LPu Sukh has been getting in and out of hospital very frequently, I have advised some of the luksits to allow Ven. LPu to depart. Earlier this year Tahn told us again, His time is up and Tahn wants to leave for Nibbanna. However we retained Ven. LPu to help us finish the viharn Tahn wanted us to make for him. 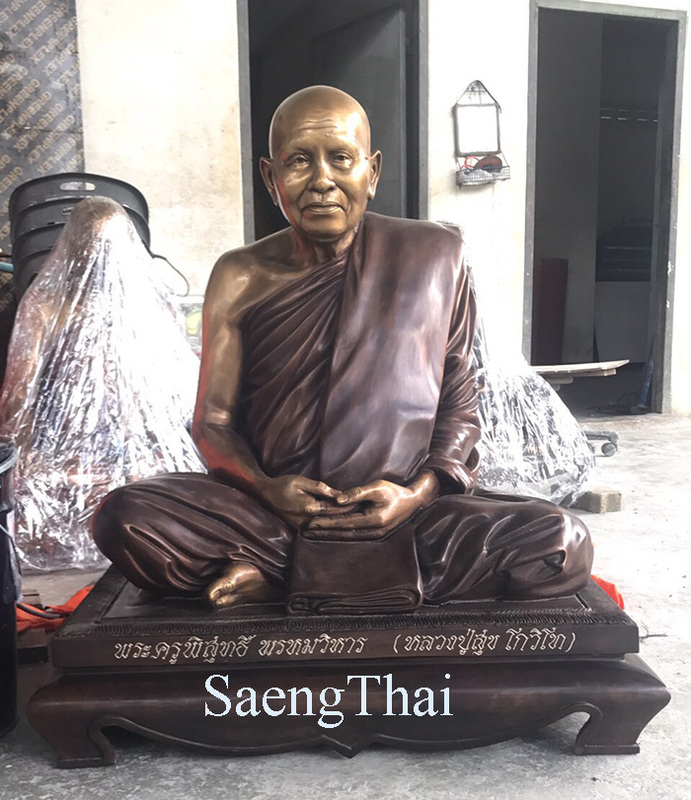 Tahn wants his favourite Phra Kaew (big) and the life size bucha of himself to be placed in the new viharn, together with all his favourite things. Tahn asked us to let go and don’t be attached, Tahn asked us to remember him and he will continue to bless us with his barami. The bucha was about RM25,000, we donate to Tahn. It was Tahn’s decision, Ven. LPu has been planning his departure since last year already. That is why, though financially we are tight but we really want to help Ven. LPu materialize his wishes. 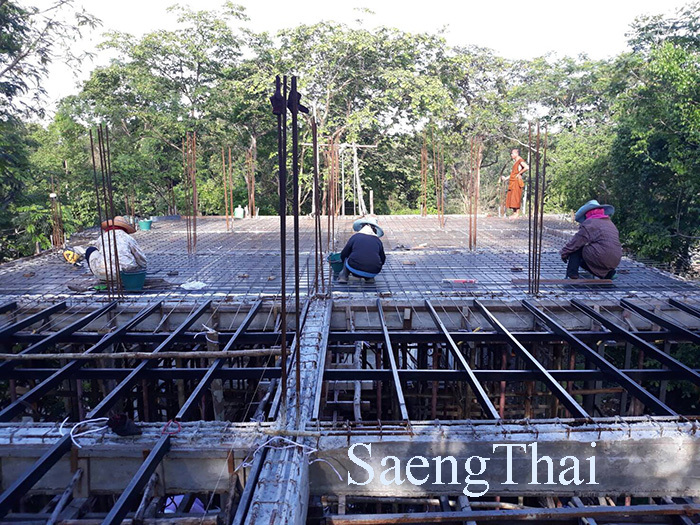 Here I would like to thank all those whom are supporting this viharn building funds. This could be the last request from Ven. LPu to us and also a wonderful opportunity for all of you to participate in this meaningful dana to receive Tahn’s barami always. Previous Post - Previous post: May Collectors Be Aware!